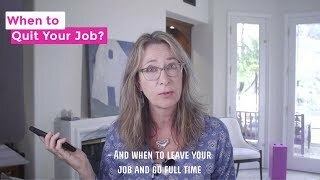 When to Quit Your Job and go full time into film? I tell you, hating my job was a HUGE motivator for me to get into the film industry. So, when should you quit your job and go into film? Is it good to up and quit so you have to make it? Or is it good to take your time and transition? Here’s what I think! I hope this will help you so you set yourself up for success.